Lighting can have dramatic effects on nearby walls, as shown in these photos. The first one, done by Coleen Choisser for a La Jolla California remodel, shows a stairwell whose walls have a striking pattern from the chandelier. 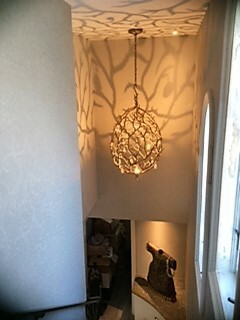 In this second example, this wall sconce is designed to cast a pattern on the wall all around it. 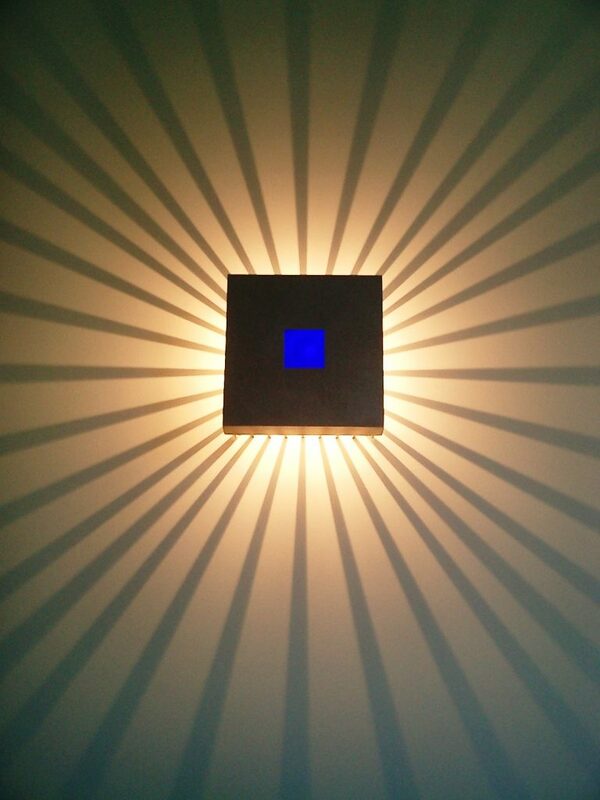 This sconce, also done by Anna Rode Designs designer Coleen Choisser, was installed along a long hallway in a modern home in La Quinta, California. Keep in mind the effects you can achieve using lighting. Today, using LED lighting, we are able to change the mood of a room, or the coloration, using your smartphone as the controller!